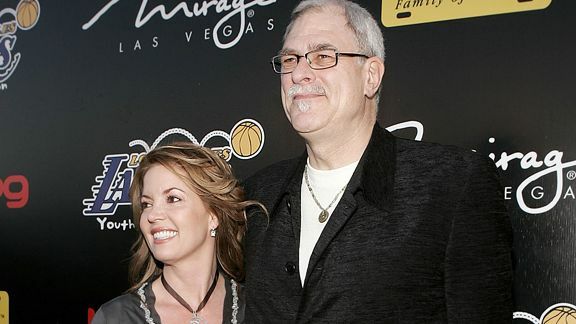 Vince Bucci/Getty Images Phil Jackson, 67, and Jeanie Buss, 51, have been dating since 1999 and live together in Playa del Rey. Phil Jackson may not have signed on for another run as coach of the Los Angeles Lakers, but he’s about to join the Laker family nonetheless. The 11-time NBA champion coach popped the question to his longtime girlfriend, Lakers executive vice president Jeanie Buss, over the the Christmas holiday, and she accepted.